Hubby is in the garage working his heart out trying to get our buggy up and running so we can enjoy it a bit this year. 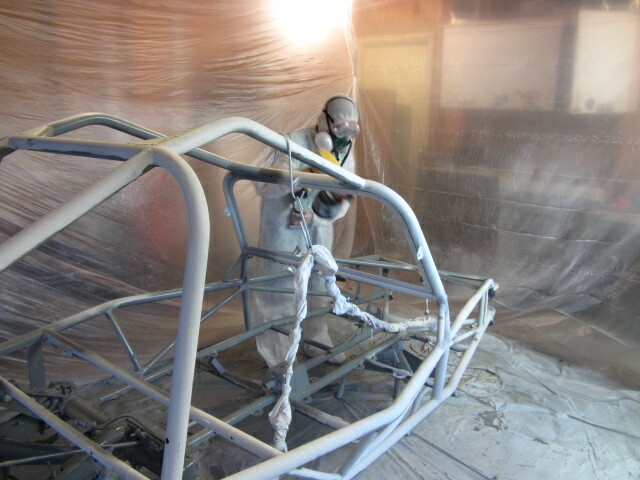 That’s me priming the frame. Its not the cleanest of jobs. Anyhoo, What have you been up to!? Sometimes, you need a pocket. If you are like me, you might tend to just shove papers in between the pages of you notebooks. Noreen has a solution for us! And it looks easy too! What a clever idea! you know I love my Bingo. What with Conversation Hearts Bingo, and Lucky Bingo. But I am always ready to add another to my stash! This one is driven by dice, so its super easy to play the bingo caller! 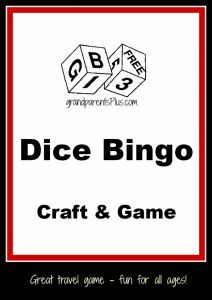 Thanks for featuring my Dice Bingo Game! Hope your week is fabulous! Thanks for the party, too! Thanks so much for hosting Kayla! 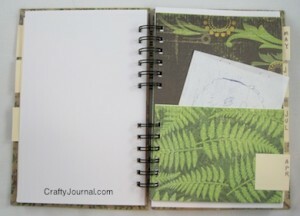 Thank you so much for featuring my Folded Paper Pocket Page! I love to put these in journals. 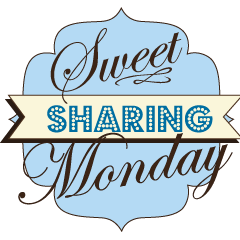 And thanks for hosting each week! Have a lovely day! Pingback: Gluten Free Yummy! Powerful Quinoa Salad with Orange-Cumin Dressing - Gluten Free Yummy! Thanks so much for hosting! Here’s to a fabulous week! Aaah! Your blog is SO CUTE!!! I love your stuff, and I’m going to bug you until you do a guest post for me. =D We should totally team up for a 2014 planner or something!! I had a great time meeting you too, your little girls are so adorable, and they look just like you! 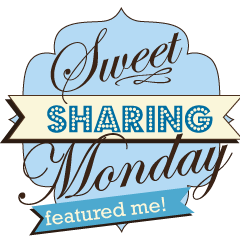 Anyhoo, I followed you on FB, bloglovin and Twitter- Keep in touch!! Folded pocket for a book? Sweet! Pingback: Fresh Peach Sorbet Bellini Recipe!